Casino reviews, bonuses, news, articles and more for US casino players! Spin of a Reel, Flip of a coin. Draw of the cards. How did it all begin? In 2011, the projected revenue for the gambling industry in the United States was $58 billion, more than any other country in the world (that number takes into account the amount of “winnings” paid out, of course). Today, casinos employ over 350,000 Americans and generate 5 billion in tax revenues every year. Our Mission: To educate Americans that there are tons of US casino sites to play at. Dozens of casinos accept US players but not all of them can be trusted. That is why we decided to create UnitedStatesOfCasinos.com, as a resource for USA Players who are ready to start playing their favorite casino games online and avoid the hassle that comes with a live casino. One final note: UnitedStatesOfCasinos.com is only for USA players, with our content owned, created and operated by USA players. We all care about the same goal: To be able to play casino games online in the comfort of our own homes at reputable and safe sites. This site is dedicated to US casino players and casino games like Slots, Roulette, Black Jack, Video Poker and other games of chance. It’s not known exactly when gambling first came to be; in fact, betting can be traced back to pagan times, when betting was done with nuts, bolts, rocks, etc. The Ridotto in Venice, Italy, was one of the first casinos to operate during carnival season in the 17th century, but the local government worried that gambling created corruption and poverty in society. It was soon forced to close. The British brought lottery style games of luck to the Americas. Some British colonies held lotteries to raise funds for their local communities to build schools and other infrastructure. In 1769, King George III banned gambling in the colonies, one of the many infractions on the list of issues leading to the Revolutionary War. After the official founding of the United States, the lower Mississippi River valley and New Orleans became a center for gambling. Gambling houses were called saloons and popped up in New Orleans, St. Louis, Chicago and San Francisco. Brown Saloon, one of the first known saloons, was founded in 1822 on the border of Wyoming, Colorado and Utah. Saloons were a place for men to gather after work, drink and socialize, resembling a pub more than a modern casino. During a wave of anti-gambling sentiment during the 1800′s, laws and restrictions around gambling came into existence, and people gambled on boats in the Mississippi River or moved west, where anti-gambling laws had yet to be established. In the mid-West, gambling was considered by some to be legitimate career. Deadwood, Dodge City, Denver, and Kansas City were home to elaborate saloons. Lotteries were eventually discontinued in the Northeast, and the development of railroads hurt Mississippi’s gambling industry because it meant less people had to pass through the state on their mule and buggy. During the California Gold Rush of the mid-1800′s, San Francisco took New Orleans’ place as the gambling capital of the U.S.
California soon followed the zeitgeist of the rest of the country and began to outlaw gambling. But just because legal restrictions increased does not mean that people stopped gambling – it just opened up a gambling underworld. The prohibition of gambling coincided with the brief prohibition of alcohol, moving both industries to the black market. By the beginning of the 1900′s, gambling was illegal across the U.S. Opponents of gambling said that it caused crime and corruption, and without any regulating force, they proved to be right, as the mafia began operating speakeasies in major American cities. The Great Depression slightly changed some people’s attitudes, and some places became more lax about gambling. Some churches started to allow bingo to raise revenue. 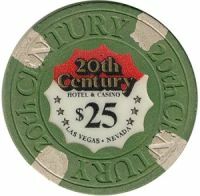 In 1931, Nevada legalized gambling and, shortly thereafter, opened the first casinos, propelling Nevada to its modern fame as the gambling capital of the world. Atlantic City, New Jersey, followed suit 48 years later and now has become the seconded biggest spot for Americans to gamble. The Seminole tribe in 1979 led the way for reservation-based gambling. In the 1990s, Louisiana, Illinois, Michigan and other states legalized gambling in some form. During that same time period we saw some online casinos start to appear. History was in the making as Inter Casino, First Web Casino, Lasseters and other casinos began creating the online casino market. Las Vegas evolved into a major tourist attraction and began attracting celebrities like Elvis Presley, Frank Sinatra and Dean Martin. Later, in the early 2000′s, ‘Ocean’s 11′, a film starring several of Hollywood’s biggest names, was filmed in Las Vegas and Chris Moneymaker, your average Joe won millions of dollars playing poker in the World Series of Poker in Las Vegas. That win brought a lot of attention to the world of online gambling, and out of nowhere sprang up dozens of online casinos and new online poker sites. As of 2010, there were 566 casinos in 22 states in America. Casinos can now be found at ski resorts, hotels and shopping malls. The American Gaming Association has become one of the largest funders of research on gambling and advocates for the rights of casino owners and their customers. Now you don’t have to go to Nevada or New Jersey to experience a casino – the internet has brought casinos into people’s home with online gambling. As the industry continues to evolve, history shows that the gambling history is resilient and will only get stronger. The industry, like all others is not without its struggles though. In the United States for instance, most casinos are operated by Tribal organizations, and as we saw during the 2012 election, tribal councils are fighting to keep it that way. Voters typically vote down new non-tribal casinos, no matter what their impact on the economy may be. Not to say that some new casinos weren’t approved during the vote–Philadelphia made some major casino approvals during the election. Online, the casino regulation saga really began back in 2006 with the passage of the UIGEA, which stands for the Unlawful Internet Gambling Enforcement Act (part of a Port Securities Bill that passed). That law regulated the way that banks are allowed to do business with online casinos, making finding new casino deposit options that work for USA gamblers more than a little bit tricky. History is ever changing though, and being written as we speak. During 2012, the first ever state run online casino was licensed in Nevada; other states are considering similar casinos. Before too long, the United States should have found her way, and will again be a major player at online poker and in the online casino industry. Throughout the entire journey, you can count on UnitedStatesofCasinos.com every step of the way.